Fancy dress, apple bobbing, pumpkins and a whole load of treats – Halloween might just be one of the best holidays for children. But don’t panic if you haven’t got round to planning anything yet, as we’ve devised a list of some great events and activities’ happening over this half-term. So dust off your witch’s hat, rinse those vampire fangs and start honing in on your face painting skills, and let the little ones join in on the fun at these spooktacular events, as this year Kent and East Sussex have got one hell of a line-up! This October half-term, grab your best Halloween costume and head down to The Canterbury Tales! Join in on the spooky quest and discover five of the Canterbury Tales and their colourful characters along the way. Make sure to watch out for all the spooky characters, and write down their names on your Quest sheet to claim a special prize! Spook Quest will run from Saturday 20 – Sunday 28 October. Book online, to secure your Spook Quest place. There are frequent buses into Canterbury; please see our website stagecoachbus.com to plan your journey. Are you brave enough to take on Kent’s most haunted castle this Halloween? This half-term prepare yourself for the frighteningly fun day out that awaits you at Dover Castle. Create some creepily good crafts, take on the tunnel of terror and say boo to a ghost or two! Also, come dressed to impress as they’ll be prizes up for grabs for the best Halloween costume! If you think you have what it takes to brave the castle then join in on the fun from Saturday 20 until Sunday 28 October - for more information visit the website here. Dover Castle is served by route 80 and 81 buses every 30 minutes during the daytime on Mondays to Saturdays and roughly hourly on Sundays. Please see our website stagecoachbus.com to plan your journey. Every October Dreamland evolves into Screamland, the biggest and best scare festival in Kent. But don’t worry; there will be opportunities for the little ones to get spooked at Dreamland this Halloween! Get your tickets now to experience the darker side of Dreamland over 7 nights this Halloween between Saturday 13 – Wednesday 31 October. Dreamland is served by route 8, 8A and 8X buses every 15 minutes during the daytime with buses up to 22:15 in the evening. See our website stagecoachbus.com to plan your journey. Full steam ahead this Halloween! Visit Kent & East Sussex Railway this half-term for a fun day out for the whole family. Hop aboard the steam or heritage diesel train to Bodiam, whilst enjoying the onboard activities including; make-your-own Halloween mask or glasses! Or why not pop in to enjoy a magic show at Tenterden station, and get into the Halloween spirit with free face-painting! Halloween High Jinx will be running from Tuesday 23 until Thursday 25 October – you can find out more information by visiting the website here. Tenterden Station is just a short walk from The Vine bus stop on Tenterden High Street which is served by buses from Hastings, Ashford and Tunbridge Wells. See our website stagecoachbus.com to plan your journey. This half-term examine the crime scenes, scrutinise the witness statements and explore the clues in this Halloween murder mystery mind bender! Discover the identity of the Halloween killer in this family friendly event running from Saturday 20 – Wednesday 31 October. For more information, visit the website here. Hastings True crime museum is well served by local buses and ‘wave’ route 99 buses from Bexhill and Eastbourne. See our website stagecoachbus.com to plan your journey. Canterbury Cathedral is a popular tourist attraction for those visiting the region – but hidden beneath the picturesque setting lies a dark past. Within its walls there is a passage known as the ‘Dark Entry’ which is thought to be haunted by the ghost of Nell Cook, a servant of a priest at the cathedral. Nell took revenge on the priest after discovering he was having an affair by poisoning him and his mistress with tainted food. As punishment, she was buried alive under the cathedral’s Dark Entry and it is believed her spirit still roams the grounds. Stories tell that those who have seen Nell’s ghost die soon after. Need a tea break to settle those nerves? Tiny Tim’s Tearoom is one of Canterbury’s most haunted locations and is said to be regularly visited by the spirits of three young children. During the building’s restoration, workmen discovered relics from several children – including the children’s birth and death certificates. The disturbance is said to have awoken the spirits of the children, who are now known for moving objects, turning on taps and whispering to guests. There are frequent buses into Canterbury from all around east Kent; please see our website stagecoachbus.com to plan your journey. The Old Metropole Hotel was a luxury hotel which opened in 1896. When the flats above the building were left unoccupied, by-passers would hear the sounds of a woman singing, it is believed that the voice was from a young woman named Adele. Adele and her lover would meet at the hotel before he married his fiancé during the Second World War. After her heartbreak, she volunteered as a nurse but was killed at the front line. Later, her best friend claims to have seen her in her hotel room. When she went to greet her, Adele disappeared. The battlements of Dover Castle are thought to be haunted by the spirit of a headless drummer boy. It is believed the boy was murdered during an errand involving a large sum of money. Several visitors of the castle have claimed to see the headless ghost walking across the castle grounds, often hearing the sound of drums. Many have witnessed doors opening and closing on their own accord, and sudden unexplained drops in temperature have also been reported. 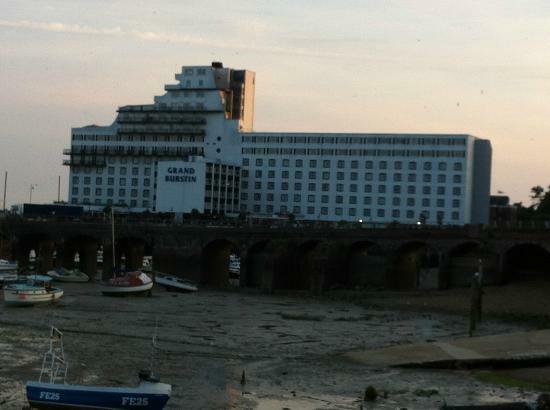 Dover is well served by buses from around the area; please see our website stagecoachbus.com to plan your journey. The Burstin Hotel is said to be haunted by a woman called Mary whom was brutally murdered after refusing the advantages of one of the chefs at her work place. Her ghost is said to haunt the halls of the Burstin, formerly known as the Royal Pavilion Hotel. Her ghost has been seen reflected in mirrors and glass, wearing a white dress with long flowing, curly blackened hair. Folkestone is well served by buses from around the area; please see our website stagecoachbus.com to plan your journey. 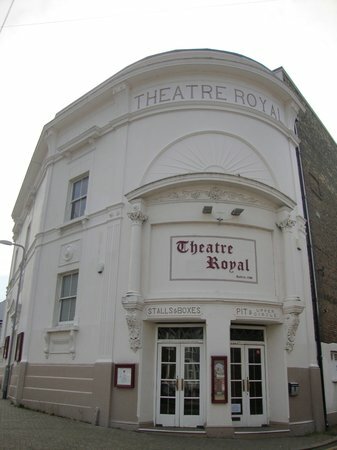 The Theatre Royal was originally built in 1787, and is reputedly the most haunted building in the country. The original theatre burned down in 1829 and then rebuilt in 1879. Paranormal activity is said to be more concentrated around a trapdoor in the theatre that leads to what was once a smuggler’s cave. There have also been reports of ghostly goings on in one of the boxes, where a man jumped to his death during a performance. Other reports have included strange noises, and the apparition of a ghostly head. Margate is well served by local buses with ‘Loop’ buses running every 8 minutes throughout the day until late in the evening. Route 8, 8A and 8X buses to Canterbury run every 15 minutes during the daytime with buses up to 22:15 in the evening. See our website stagecoachbus.com to plan your journey. This photo of Restaurant at The Mermaid Inn is courtesy of TripAdvisor. 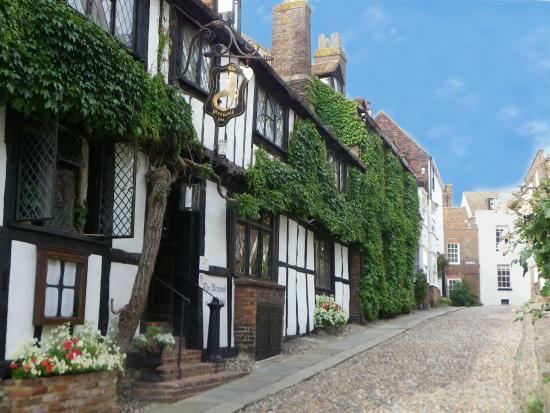 The Mermaid Inn is another listed paranormal site located in East Sussex and you’ll be happy to hear it still takes bookings! The 15th Century building has inherited a number of paranormal entities, including the lady in Room 1 who sits in a chair by the fireplace, watching guests as they sleep. If you want to fully experience the spooky goings-on in the building, it may be necessary to spend a night there yourself. Rye is served by ‘wave’ bus routes 100, 101 and 102 from Hastings or Folkestone, New Romney and Lydd. See our website stagecoachbus.com to plan your journey. If you’re two adults travelling with at least one child, then a family dayrider will be the best value day ticket for travelling by bus. Family dayriders are valid for groups of up to five with no more than two adults and allow unlimited bus travel for the day on Stagecoach buses. From £8 for a local area or £13.80 for the South East region. If you're one adult travelling with kids it may be cheaper to buy an adult dayrider with a kid for a quid ticket. *Prices stated are only available on the Stagecoach Bus App. Prices on bus are £8.60 or £14.